Blaze- Within a battle When a Pokémon with Blaze uses a Fire-type move, the power will increase by 1.5× if the user has less than or equal to ⅓ of its maximum HP remaining. Solar Power- Within a battle and in sunshine, Solar Power raises the Special Attack stat 1.5×, but lowers the user's HP by 1/8 of its maximum HP at the end of each turn. Charizard, the Flame Pokémon. Charizard's powerful flame can melt absolutely anything. 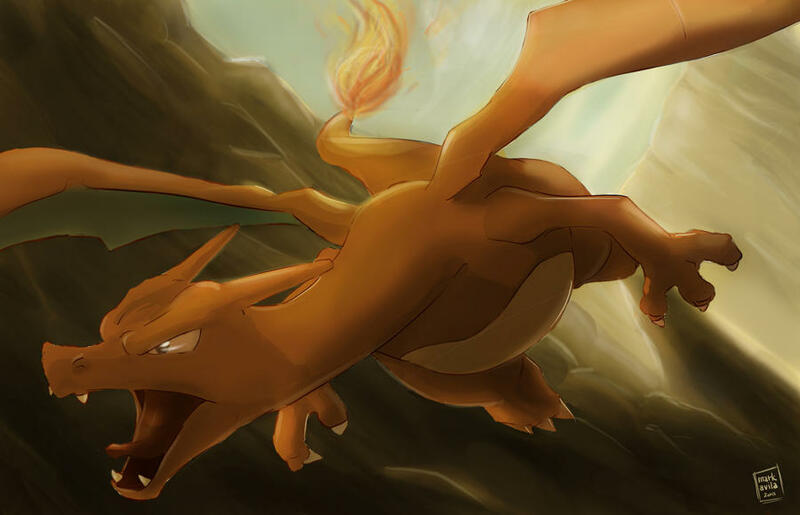 It's hard to believe, but this massive Flame Pokémon evolves from the tiny Charmander. Not only can it fly at heights of over 4,500 feet. Shouldn't it be Super Smash Bros. Melee? Ah, I wasn't sure if I was wrong or not, thanks!